Design and Manufacturing Services by 4 times Goldsmiths' Craft and Design Council Award Winner. From a single piece to a complete collection, we are happy to assist and better still, its all done with a smile and plain English. 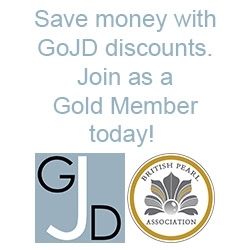 Victoria Barker is pleased to offer Gold members of The Guild of Jewellery Designers 10% discount on her CAD design service.